The annual Reading World War II Show 2011-17 in Pennsylvania features an airshow with vintage aircraft, reenactment battles and camps of American, German, Russian, Chinese and Japanese soldiers. It also boasts the largest number of vintage World War II vehicles assembled in the United States. 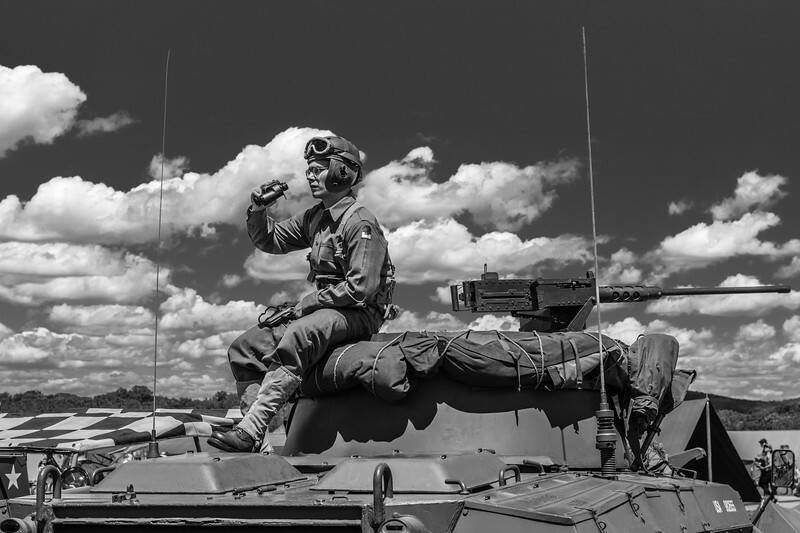 A soldier keeps a lookout on his tank at the annual Reading World War II Show in Pennsylvania 2017.